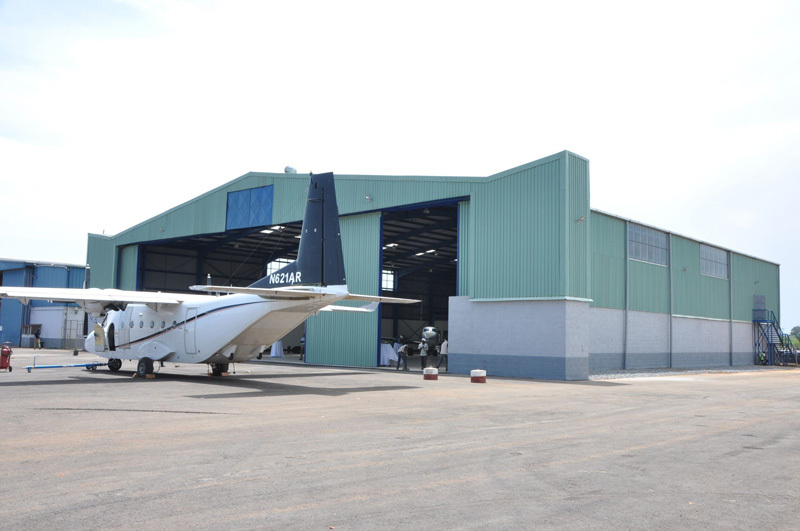 Air Serv Opens Second Aircraft Hangar in Entebbe - Air Serv International, Inc.
11m tail door, the new facility can accommodate aircraft as large as the Embraer 175. The roughly 1,900m2 structure also features six shops/storerooms on the hangar floor level, as well as six air conditioned offices and a conference room on the mezzanine level. Present at the celebration was Vincent De Paul Kayanja, Mayor of Entebbe. 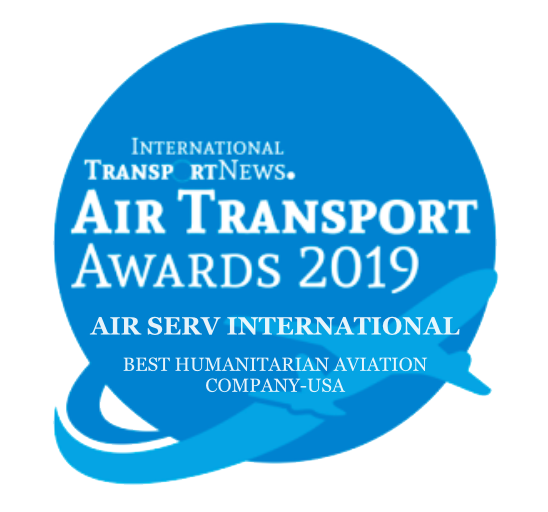 Kayanja acknowledged with thanks Air Serv’s continued investment in Uganda’s civil aviation industry, noting the local employment opportunities resulting from the opening of the facility, as well as the increased access to services for international organizations operating within the region. Air Serv, Uganda’s largest aviation enterprise, operates a fleet of six Cessna Caravans, providing “last mile” air transportation in support of East African humanitarian programs. Currently active programs are in the Democratic Republic of the Congo and the Republic of Chad, with an operations base located in Entebbe, Uganda. Air Serv also provides commercial air charter, facility, and aircraft maintenance services.